Dae N. submitted this photo and caption. This picture was taken outside of Lucas Oil Stadium right before 2010 Open Class World Championship Finals. 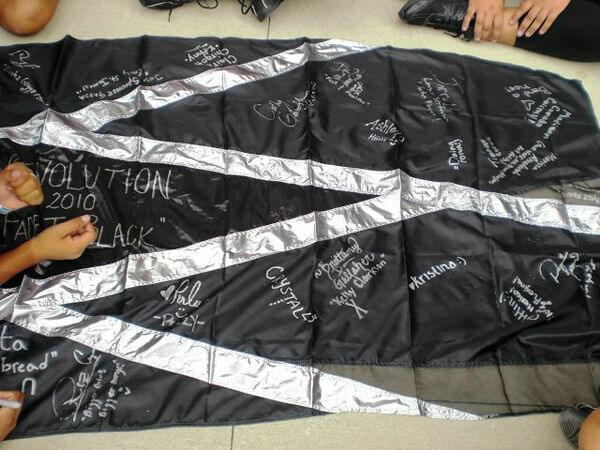 The Revolution color guard has a tradition where all of the guard members sign one of the show silks to hang up in the corps office. Right before we started lot, we decided to go ahead and sign our closer flag.